How can it be the end of 2018 already!? It's flown by for sure and I always feel the same at the end of a year like how did that happen? I think the saying that days go slow and years go fast is so true and it's never more apparent then when looking back at the last year and all that happened or didn't happen and trying to take stock of one's life. I hope you all have a beautiful Christmas and a start to 2019 with family and friends. 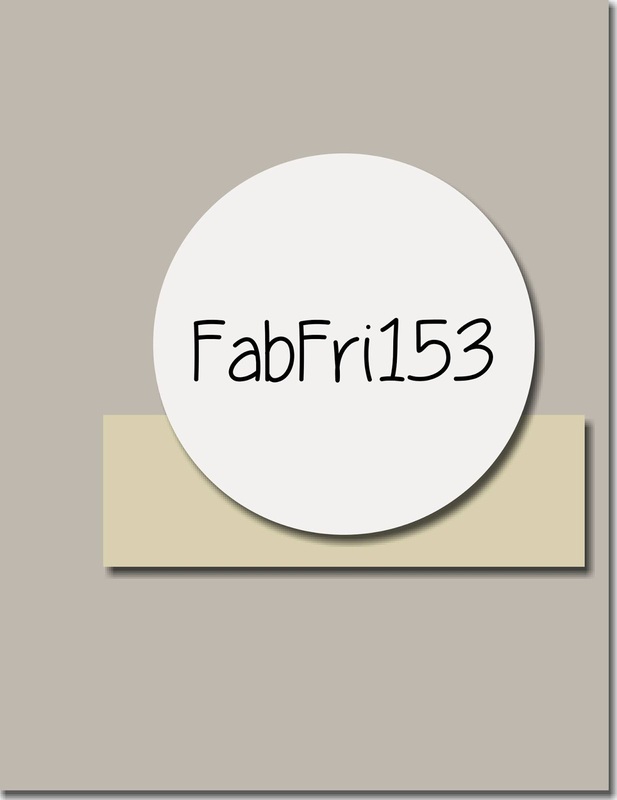 We are winding down 2018 with a final Fab Friday challenge of the year. It's a super versatile sketch-- (do I say that every time??) so look ahead at your calendar and see what cards you'll be needing right after Christmas and at the beginning of January. How about some thank yous for Christmas gifts? January birthdays? Happy New Year's cards? I went with the Happy New Years theme as I usually end up short on the number of Christmas cards I need vs. how many I've actually made. I always plan for some New Years wishes to go out right after Christmas so I made a stack of this design. I tried to have my focal pieces offset like the sketch but I just couldn't do it; for some reason no matter what I tried it just made the card feel lopsided so I centered my pieces. A sketch is an inspiration not a set in stone rule so I went with it! The card base is Whisper White thick, then a layer of Coastal Cabana. Next is a piece of retired Springtime Foils Specialty paper from last year. I had a bunch of this leftover so since I was making a stack of this design I decided to be frugal and use what I had on hand. The copper is really a fun accent for a celebration card. The party hat from the NEW! Birthday Cheer stamp set was the perfect image to use. I embossed it in copper and then fussy cut (not hard at all) it. I colored the stripes with my Coastal Cabana and Flirty Flamingo markers. I added some retired Fancy Frost sequins to the pompom for some added party sparkle. The hat is popped on a Coastal Cabana Stitched Shape circle. The sentiment from Another Wonderful Year is stamped in Flirty Flamingo and then cut out with one of the NEW Stitched Rectangle dies. I added a little Copper Glimmer paper flag behind it. Definitely check out the rest of the Fab Friday design team for more inspiration and then play along. Looking forward to seeing your creation in the challenge gallery!